Brewery makes “blatant and intentional misrepresentation”, panelist says. 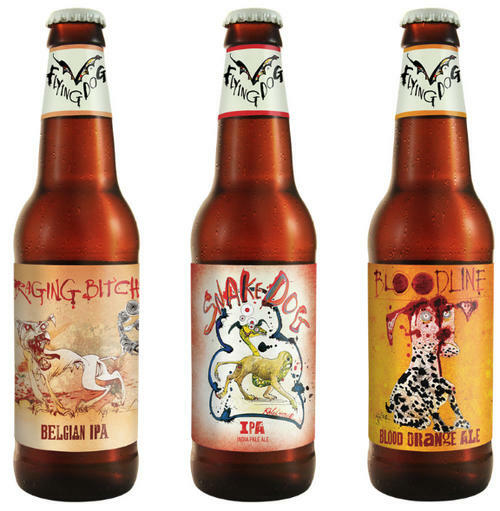 Flying Dog Brewery was found to have engaged in reverse domain name hijacking. Photo from FlyingDogBrewery.com. Craft brewer Flying Dog Brewery has been found by a World Intellectual Property Organization panel to have attempted reverse domain name hijacking. The brewery uses the domain name FlyingDogBrewery.com but wants the domain name FlyingDog.com. That domain was registered in 1996 and used by its owner to promote his software company for many years. The brewery first tried to buy the domain name in 2001. It invited the domain owner to tour the brewery and made a $19,000 offer to buy the domain. The owner declined. Then, earlier this year, a broker reached out to the domain owner working on behalf of an unnamed client. He offered $15,000 for the domain. The domain owner declined and asked for $225,000. Shortly thereafter, Flying Dog Brewery filed the UDRP. Amazingly, the Complainant stated in the filing that the Respondent retained an agent to sell the disputed domain name to the Complainant, even though it was clearly the Complainant that initiated the discussion. The Complainant could easily have discovered from a brief Internet search the Respondent’s historical use the disputed domain name before filing the Complaint…The Complainant either did not do so, or having done so elected to conceal from the Panel known facts unfavorable to the Complainant. The Complainant submitted a barebones complaint unsupported by any evidence, and blatantly misrepresented to the Panel that the Respondent had hired an undisclosed agent seeking to sell the disputed domain name to the Complainant at an exorbitant price. The record, however, confirms that it was the Complainant who retained a domain name broker. The Complainant’s blatant and intentional misrepresentation as described above constitutes a clear violation of section XIII, paragraph 21 of the Complaint. The brewery was represented by Offit│Kurman. The domain owner was represented by Thomas P. Howard LLC. When will we see penalties for the rdnh cases? There has to be “consequences”. You can file in U.S. court to collect a monetary penalty. Clearly RDNH, no doubt on the side of the domain owner…. now in saying that, who is his end user now for that much or even the $16k? Just thinking out loud. Flame suit on. That’s a fair question. Maybe he hoped to get them closer to $50k-$100k by starting at $225k. That would make sense I suppose. This situation may have been aggravated by a shady “broker” who was playing both sides of the table unbeknownst to Complainant and Respondent. I see this crap happen all the time. Sadly, anyone can call themselves a “broker” and there are a lot of unethical ones out there that play this dangerous game. Tip: Beware of “brokers” who don’t have a detailed LinkedIn profile, don’t have a corporate Website, have few or no client testimonials or public track record, and aren’t known by veterans of this business. That “broker” is probably a con artist. That might be the case, although you’d think the brewery would have disputed it with a supplemental filing. Bill are you saying the brewery contacted the owner via a broker and that broker then advised the seller to ask a quarter million dollars and killed the chance of a realistic meeting of minds? @ Josh, I am hypothesizing that a sleazy so-called “broker” who falsely represented himself to domain owner as having a buyer client (but did not) then approached the brewery offering to sell the domain to them on behalf of the domain owner. In reality the “broker” didn’t officially represent either party and was behaving in an unethical manner. This is a disgusting and dangerous form of domain broker front-running that, sadly, I’ve witnessed many times. I am not saying it happened in this instance, but it might have. This kind of crap happens all day long in our industry, and I wish it would stop because it can lead to innocent domain owners getting hit with UDRPs and lawsuits and it tarnishes the reputation of legitimate, ethical domain brokers. @Bill, I see what you mean now and yes that is sleazy and highly problematic for the domain owner should the contacted party decide to UDRP etc. I could tell stories for hours of the things (similar and exactly the same) I have seen. In fact I was selling a LLL dot com not long ago and someone tried something along those lines. They used the BIN feature at a market place and after 3 weeks payment was never sent then only to discover they were trying to flip it to a company. A company mind you I avoided contacting, placing similar ads or competitor ads for, could have lead to a nightmare for me. Further more being who I am I have been asked many times to broker sales to large companies that I refused to and explained why to the seller, heaven forbid my contacting them is a sign of bad faith and you have to defend or lose your valuable asset. These sellers are usually miffed that I won’t “help” them, It is still certainly the wild west if you are not careful. We only met once briefly at Tucows many years ago during a Canadian domainer meet up and then a Hockey game followed but I could tell you are a man of integrity. @Josh, send me an email; we should reconnect after all these years. My email address is bill at nameninja dot com. At 8.3% alcohol by volume, flying dog is what happens when you eat hotdogs later on.